Seven months earlier, my father had made his desire strongly and clearly known to his family. He wanted to die at home. Now it was too much for my mother to handle, even with the health care aid. Once again, she was talking about using Riverview (a pleasant but, nonetheless, institutionalized palliative care facility). I had fought with her so vehemently against that just a few weeks prior. But I could feel the despair in her voice, her panic, and total exhaustion. My brother, Joel, lived out of province, so that left only one option–my home. All at once, my own fears set in. I was terrified that my mother was right. My dad’s pain would be better managed in the hospital than at home. But to understand just how powerful my father’s last request was, you would have to know what kind of man Abe Brass was. Abe Brass gave whatever he could to his wife and children, and to others, but never dared ask for what he wanted. So it was completely shocking when my dad stated, without hesitation, without doubts, without thinking of others first, that he wished to die at home. I got in the car, my head flooded with uncertainty. My mind wandered to this past Father’s Day; we knew it was his last. We had given him a book on the importance of fathers. I felt the tears that were never shed; I knew the worries he kept inside of him. But, as Dad cradled the book we had given him, tears filled his eyes. When I arrived at my childhood home, my mother, Joel, who had come in from out of town, and I gathered in the den, which had now become Dad’s bedroom. It was difficult to tell if my dad was asleep or not, as sleeping with his eyes open had become the norm. He looked comfortable and settled. But I felt pulled by my mother’s pessimism about my dad’s dying at home, and Joel’s optimism that a competent staff could handle a situation like my dad had experienced the previous night. My head was whirling. I left the room to seek some clarity. Within seconds, I knew the answer. I recalled how my dad had earlier expressed interest in living out his final days in my home as a backup plan–his “home away from home” as he put it. I was still as terrified as my mother about not coping with Dad’s pain, but I had made my decision. I would honour his wishes. I would not let my fears get in the way. I would have to somehow reach the highest level of myself, and do this for my dad. I returned to the den and suggested that we involve Dad in the decision. Up until then, we had acted as if he wasn’t in the room. But he was, and he deserved to be included. I told my father that it was no longer possible for him to remain at his home. I then asked him where he would like to go. I remember him responding that he wanted to stay where he was. Dad nodded with recognition and understanding. How cruel it must have been for her to watch her beloved husband, of almost 50 years, waste away, to see him suffer, to grieve his loss, moment by moment. Dad didn’t want the love of his life to agonize so. He asked how long he had. I told him about two weeks and that he was soon approaching death. He nodded again, a look of acceptance in his eyes. He spoke of his funeral; in his typical fashion, he worried about appearances. He didn’t want us driving in my uncle’s “beater” car. We assured him that we wouldn’t, and that his funeral would be nice. I chuckle as I write this, recalling the gravity of the situation and my dad’s response. It seemed more like he was coaching a football team toward a final win, than deciding where he would like to die. But once the final decision was made, Death felt like a spiritual holy experience for me. I was present for it. I was giving my dad a last gift. With my husband, Yale, who had just arrived, taking care of the practical details like moving the bed, we began to prepare for the transfer. My father was moved to the sofa, the hospital bed was unassembled, to be put back together again in my living room, and the stretcher service was called. We would have professional nurses for three 8 hour shifts to control my dad’s pain, to turn him over, and etc. On the outside, we were like a well-oiled machine with its interconnecting parts, each of us actively doing what needed to be done. But emotionally, on the inside, the feeling was one of chaos and sadness. Dad was leaving his home forever; the door would soon be shut tight, the past left behind. My mother and Helen, the health care aid, gathered up Dad’s personal belongings and medical supplies, which were ominously stacked by the front door. I sat quietly with my dad, holding his hand. He had lived his entire life with worry about money and the future, and always with that overriding belief in propriety. Most movies, with the exception of “Mr. Holland’s Opus,” which he adored, he thought too farfetched. I found it hilarious that he didn’t enjoy Les Miserable “because it was a musical with no songs to sing along with.” Now I grieved that this would be the last time that I would ever see him lying in this so familiar couch. Pain and sadness filled my body as tears streamed down my face. “I’m ok,” he said, removing his hand from mine. His face appeared peaceful. I sat tearfully watching him, anticipating his departure from “his castle,” 463 Rupertsland Avenue, while he remained detached from emotions, listening to music. We cried; he didn’t. The doorbell rang. It was Nora, my parents’ longtime loyal and lovely friend and neighbour. My mother quickly updated her. Nora must have had a sixth sense to visit Dad at that exact moment. She came into the den and took his hand. “Not too good Nora,” he said with resignation. “No Abe. Not too good,” she echoed with compassion. Standing beside me, she put her arm around me as we both cried about his departure from his precious house and neighbourhood in Winnipeg. Nora then went to get her husband Willy, a kind and gentle man. I left the room as Willy said his final goodbyes to my Dad. “Nice man,” my Dad uttered after Willy had left. The stretcher service arrived. The men efficiently moved my Dad from the sofa to the gurney, covered by a grey blanket. They headed towards the front door when my mother interjected, “He needs something for his head.” Quickly, she grabbed his so familiar beige woolen hat–the one with the peak that looked like a Greek fisherman’s hat. We opened the door and out my dad went. We all followed. My dad’s face pointed in the direction of the front door as the stretcher descended the stairs–the very stairs that held so many memories of brighter times. Dad’s face looked proud, and with the blanket covering his emaciated body, and with his hat on, he looked almost well–more like the dad I know. I felt that it was a special gift to have him leave his home–his castle–so royally. I joined my Dad in the van and asked to ride in the back with him. The others were to come by car. As we drove away, it felt like I was watching a movie. The lines of white stucco houses and colourful autumn trees slowly disappeared through the van’s large back picture window. While we drove, I gave him a running commentary of familiar landmarks, until we reached my driveway. I quickly got out of the van and entered though the front door. Even though I had anticipated the transformation of the living room, it took a few seconds to adjust to the change. I hastily cleared away the papers on the dining room table, soon to be replaced by numerous medical supplies. The men from the stretcher service brought my dad in and transferred him to the hospital bed that had already been reassembled. Dad seemed accepting and calm. I asked if he recognized where he was and he nodded. I reminded him of all the wonderful memories that had occurred in that very space, including Kevin, his oldest grandson’s briss, a celebration of a new life. I quickly filled the orange plastic bowl with ice-cubes and water, and applied cold compresses on my dad’s face, as we had been doing over the last few days. The heat that he felt had become intense as the “fire of life” escaped his body. The cold compresses soothed him. We placed a picture of our nuclear family on the table at the foot of Dad’s bed. Shortly after, my children, Kevin and Leeya, 13 and 10, returned from school. Both were somewhat surprised yet pleased by the reality of their Zaida being in our dining room. They greeted him warmly. Later, when Joel and I were alone with my dad, we sat on either side of him, our hands reaching over the bed rails to hold his. The heat he felt must have been tremendous. Despite his weakened state, he began trying to remove his gold housecoat which he had worn enroute to our house. Promptly, we assisted him. He then motioned to remove his pajama top as well. This was my dad, the modest and proper man who, up until that moment, had only exposed his chest when swimming. I remembered for an instant thinking that being bare-chested was probably against medical protocol, and my dad would always follow the rules. I quickly came to my senses upon the realization that this was his body, and our house, and there WERE NO RULES. Taking Joel’s cue, we gently assisted him in removing his top, unveiling his emaciated, boney torso. At first I felt frightened by the thinness of his half-naked body, which conjured up awful images of concentration camp victims. I later learned that this was in sharp contrast to Joel’s depiction of our dad as an innocent E.T-like character. Thankfully, my fear was soon replaced by peace as I heard Dad’s deep sigh of relief, twisting his body, enjoying the freedom of being unshackled. I will never forget that sigh. It was as if at the moment, my Dad had become free, not only of the restraints of clothing, but of all of the “should and oughts” that had ruled his life. I felt so proud and triumphant that in his final days, my dad had, for the first time in his life, chosen to be a non-conformist, not only in choosing to die at home, but also in daring to remove his pajama top, something that his sense of propriety did not allow him to do when he was well. It was one of those tender moments beyond words that I will always remember — like seeing a colt being able to roam free in the meadow for the first time. After that, the three of us sat in silence as we connected with our hearts and our souls. Joel held my Dad’s hand as I stroked his back. We shed tears of joy in feeling so close and complete, coupled with tears of sadness that the end was near. It seemed that we sat in silence for a long time–I am not sure how long it actually was. My dad had never been demonstrative, but as my arm began to tire from reaching over the rail, I felt a strong pull to be physically closer to him. Somewhat hesitantly, I asked Dad if I could lay on the bed with him. He nodded. I climbed into the hospital bed which was two thirds empty due to my dad’s diminished size. It felt good and right as I lay beside him stroking his back, while I enjoyed the physical closeness that brought me back to days of being a little girl. Only this time, I felt like both the parent and the child. I was glad that he had so willingly accepted my gesture of love. Ironically, it was that very gesture which he had disapproved of when my mother and I would tickle Kevin and Leeya’s back before they drifted off to sleep. “You’ll spoil them,” he would say. Now we had left the world of propriety behind, and all that mattered was his comfort and our love for him. And then, as all moments do, this magical time ended. I think that it happened when my mother entered the room and covered my Dad up, so that he wouldn’t get cold. And it was all right that it ended; it’s their fleeting nature that creates life’s special moments. The three of us, including my mother, gathered around Dad. I can’t remember if we talked or remained silent. What mattered was that this would be the last time on this Earth that we would be together as a family. It was a bittersweet moment filled with overwhelming love and sorrow. I am grateful that the four of us had this brief but precious time together as family, just days before my dad’s death. I understood. On that fall afternoon, just four days before his death, Dad shed his foliage, his ego, and became “just a barren tree.” And there was so much beauty in that. Love of your dad. WOW!!! A wonderful story, very moving. My father passed away this year after only a short stay in a hospice. My mother (90) was too exhausted and she didnt have people around like you did. I truly hope and pray that i can leave the world from my beloved home on the moshav. Thank you so much for sharing intimate moments of your family with us. The story is well told and so very moving.Thankfully, you could provide his final and perhaps only wish.You are a wonderful daughter. Your story brought btack a flood of good memories of our childhood. One of my best memories was going with your mom and dad to drop off the payroll and going for ice-cream. It was so much fun because we’d be in our pjs and it felt like we were special. Your parents were like a second set of parents to me and I’ll always cherish that. You have captured every emotion with your beautifully written words. Comparing the barren tree to your Father’s “shedding” painted such a vivid picture for me. Well done Diane. I felt as though I was with you, sharing your experience. Wow! It is amazing the clarity of your remembrances and feelings of the last few days with your father so many years ago. It read as if it were just yesterday. Putting all the feelings into words is so powerful not only for yourself but for others to read. No one wants to think of their own last days but everyone would want their wishes to be honored like you honored your father. What an amazing last mitzvah of honoring your father! May we all be blessed with our children knowing what we want and coming through for us in our time of need after 120 years. Diane , Thanks so much for sending this article! So very alive and descriptive; and I understand very well what you went through”. Wow! I so felt like i was part of the story. Wow! I can relate with you so much on this. My father died last July 7, 2009 (on his 58th birthday). Like your father, was never an expressive man. But that’s last sigh of freedom before he died from my father was unforgettable to me. I can’t stop crying while reading your story. It’s very beautifully written with full honesty. I stumbled upon your post, quite randomly. 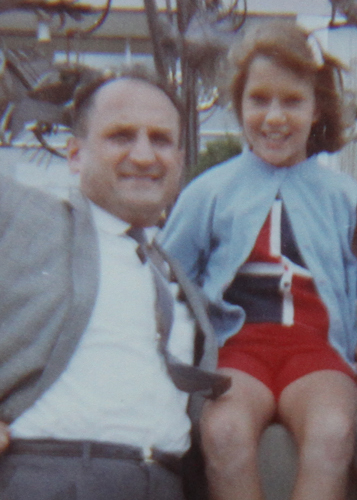 I connected with it so much–I just lost my father. His final wish was to die with “his boots on.” we brought him home from the hospital to die. Thank you for sharing your story. It gave me peace.